This is an outdoor condensing oil boiler. It has an ErP A efficiency rating. The boiler is built using premium grade steel . 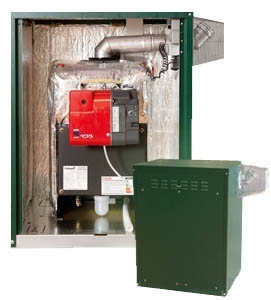 These boilers come with removable side panels for easy access. High quality weather-proof PVC- coated casing (outputs up to 58kW). Fully insulated to prevent heat loss. Fitted with frost protection stat. Removable side panels for easy access.